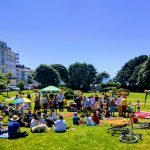 Dozens of “good neighbour” volunteers were given a public thank you when Brighton and Hove mayor Dee Simson joined them at a celebration. 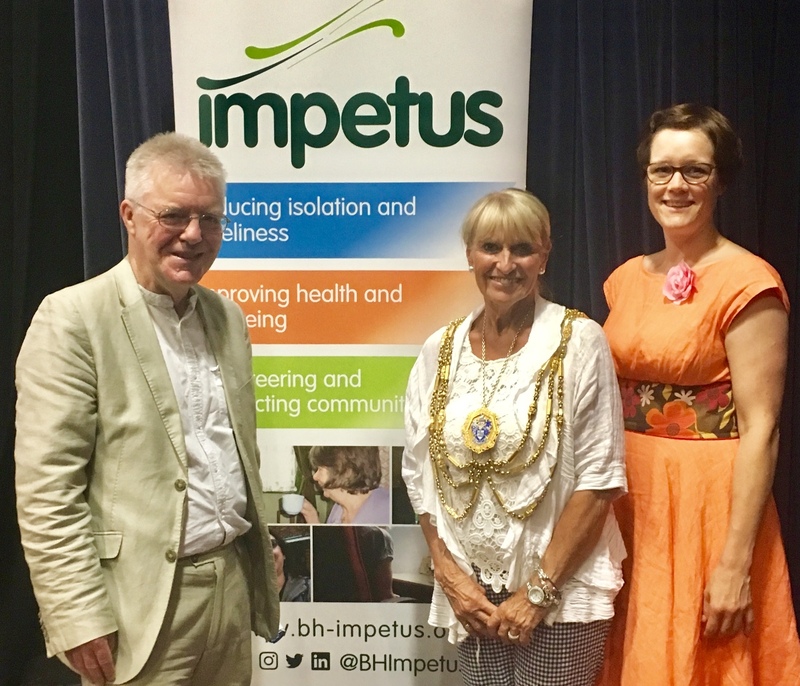 Councillor Simson also praised Brighton and Hove Impetus, the charity behind the Neighbourhood Care Scheme, at an event to mark the scheme’s 20th anniversary. The mayor addressed more than a hundred guests – many of them past or present members and volunteers – at the anniversary party at the Sallis Benney Theatre in Brighton. 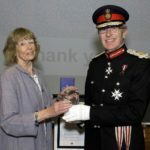 She said: “I was delighted to be invited to the 20th anniversary party of the Neighbourhood Care Scheme and to meet so many people whose lives have been improved and enriched as a result of the service. 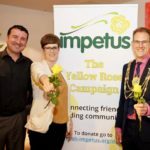 “My focus as mayor includes the role of the community and voluntary sector and the work of Impetus and the Neighbourhood Care Scheme is exemplary in the area of tackling social isolation. The scheme has been described as “harnessing the power of neighbourly goodwill” to tackle loneliness. Seventy per cent of the people supported by Brighton and Hove Impetus say that isolation is the most difficult aspect of their life. 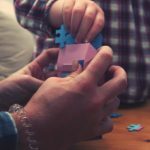 The charity’s Neighbourhood Care Scheme tackles the issue head on by helping isolated older people and people with physical disabilities and their carers. Local volunteers are matched with a person in their community and spend around an hour each week providing company to them. It is now one of the biggest befriending schemes in the country and inspired 321 volunteers in 2017-18, to deliver more than 12,000 hours of support to 351 isolated people. Back in 1998-99, 23 volunteers provided support to just 22 people. Brighton and Hove census data reveals that more than 35,000 people over 65 live in Brighton and Hove (13 per cent of the population) and 11,556 of those are over the age of 80. Sean de Podesta has been leading the team of staff and volunteers, making vital connections to reduce social isolation and improve wellbeing since 1998. He said: “I am really fortunate to have been able to do the best job in Brighton and Hove for so long. “The Neighbourhood Care Scheme has enabled over a thousand volunteers to form, often life-changing, relationships with their neighbours. Impetus chief executive Jo Ivens said: “We all had a great time celebrating the achievements of the Neighbourhood Care Scheme. “Thank you to all our guests and to the mayor for attending. Our commitment to tackling social isolation continues, through the good work of the NCS and our other advocacy and social prescribing services.